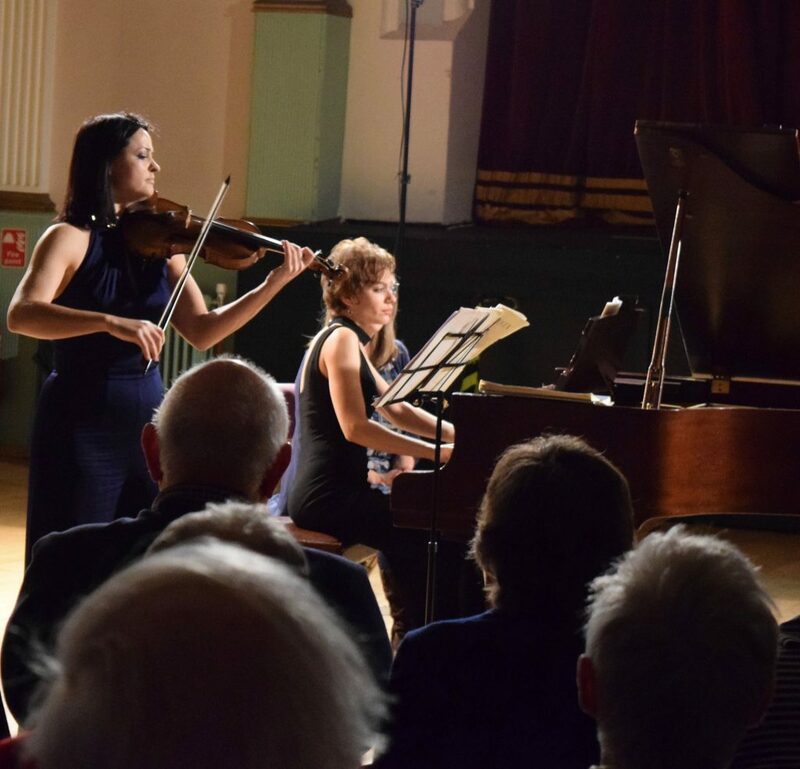 Last Friday in Inverurie Town Hall, Maria Canyigueral (piano) and Lana Trotovšek (violin) thrilled their audience within a programme of strong and vivid contrasts. The concert was the last one of Inverurie Music’s 20th season and the society’s 20th birthday will be celebrated with a special event at the Garioch Heritage Centre on the 27th April. The musicians also gave workshops at Alford and Meldrum Academies and with a group of local musicians at Kemnay Church Centre. The pupils’ workshop was about their instruments and how they developed, different musical styles and imitation of nature, which were expertly demonstrated. Finally, pupils volunteered to read out part of George Meredith’s poem, ‘The Lark Ascending’ before Lana and Maria played an excerpt from Vaughan Williams’s music that was inspired by it. The concert opened with the joyful Sonata in A major by J.S. Bach. It is quite difficult to put in words the universal appeal of Bach. To say that his music is “mathematical” may give the wrong impression as if it were cold and unemotional. Rather, the logical patterns and textures drive an inner pulse in the mind of the listener that somehow absorbs the direction of Bach’s musical formulae. Here the soloists imitated one another closely with vigour but respect and the expressive detail was not marred by the steady pace that drove the listener on. Beethoven’s Sonata no 2 was another piece in the bright key of A major. It showed his playful side, a mood that is not usually associated with Beethoven. 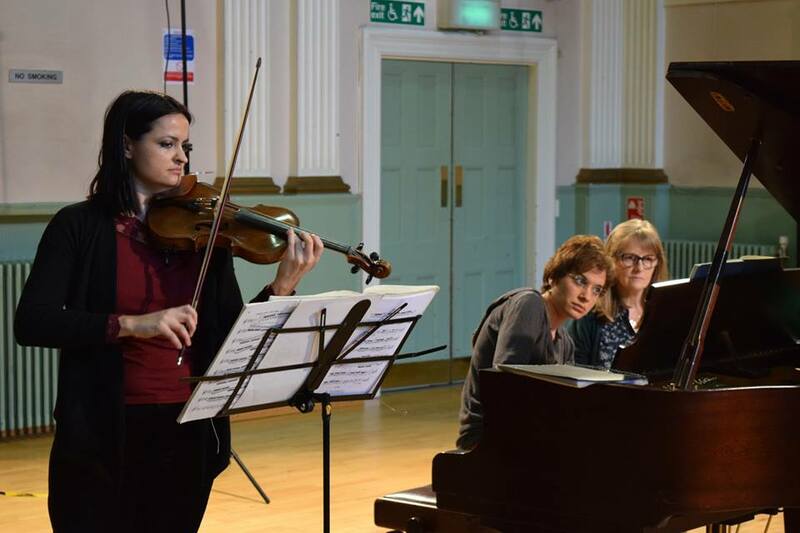 From the start the audience were breathless in awe of Lana and Maria’s virtuosity. 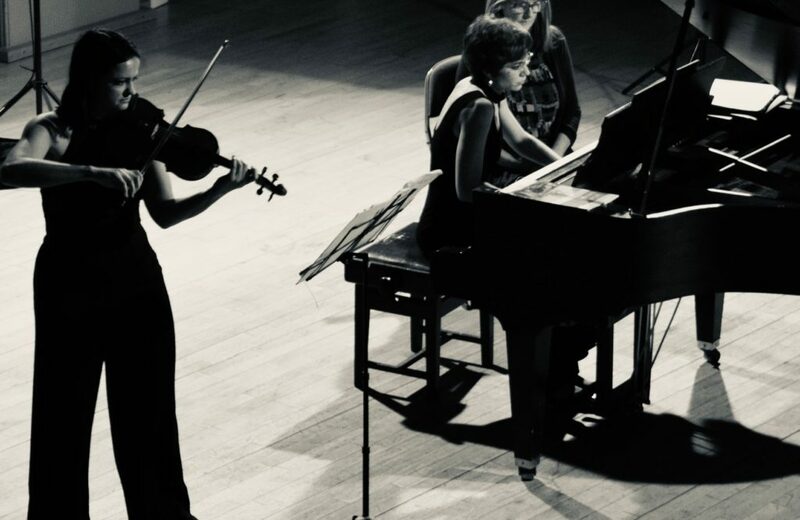 The first subject was a delightfully delicate bounce of the bow set against glittering scales and off-beats on the piano, contrasted by a teasingly sinister second subject in unison. A noble but subdued melody for a theme and variations followed in A minor and finally the happy mood returned with a sprightly rondo with a surprise throw-away ending. A contrast of mood followed with Prokovief’s Violin Sonata no 1. It was written between 1938 and 1946 and won the Stalin Prize. Featuring the piano more prominently, bass tones cast a shadow in the first movement, while double stopped themes on the violin cry of grief. The rapid pianissimo scales had a dreamy effect and were astonishing as an example of Lana’s musicianship. Lana warned the audience that the piece was meant to be played forcefully as the composer intended and together with Maria they produced a cacophony of sound in the second movement that evoked the clanks and screams of mechanised warfare. 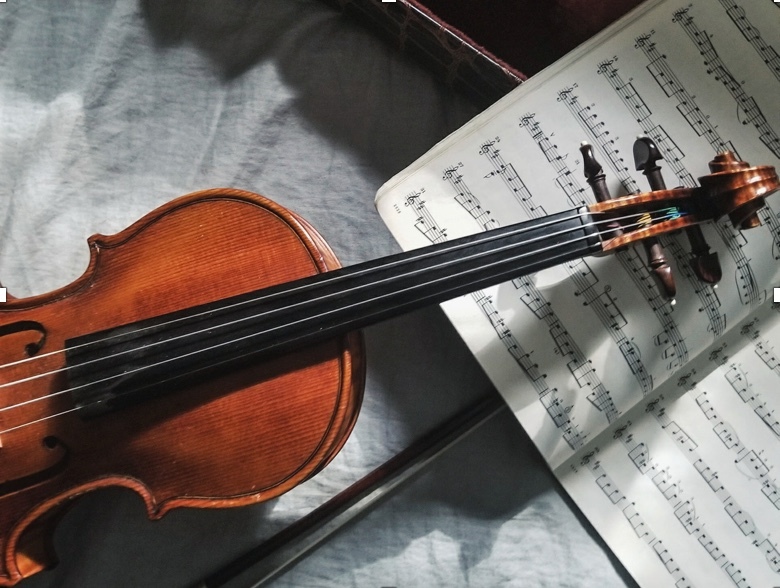 The more reflective third movement was peaceful but only of the night perhaps, while the following dance with the violin, imitating the balalaika with its pizzicato passages perhaps, was a joyful interval. However the dreamy rapid scales returned, perhaps to remind us that the effects of war linger on in our minds as well as physically. To return to calmness and the joy of spring what could be better than ‘The Lark Ascending’? Vaughan Williams cleverly sandwiches an English folksong in the piece to give it a sense of place but he can be forgiven as he was a collector of folk songs. The music is simply beautiful and Lana gave it the grace and serenity that it deserved. A delighted audience applauded the whole performance warmly and this time there was no need for an encore!